Reg and Pete’s Dog Trumpet will hit the road for more shows later this month and through November. Peter Murphy will return to Australia to perform a complete set of Bauhaus material. Christmas has come early for punk fans with Bad Religion due to release a single, ‘O Come, O Come Emmanuel’, from their Christmas album, 'Christmas Songs’. Blink-182 released their now classic ‘Untitled’ album in 2003 and will perform the album from start to finish to mark the 10th anniversary of the release. Icehouse will continue to perform live with some intimate shows on the way for Sydney and Melbourne in December then a run of shows at Crown Casino in January. 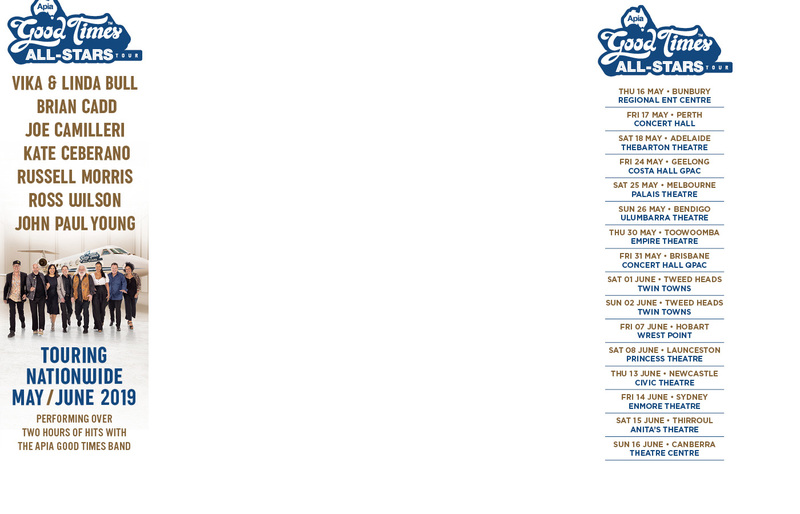 Jack Johnson, Elvis Costello & The Attractions and Kasey Chambers have been added to Bluesfest 2013. Tickets for the second Deni Blues & Roots Festival went on sale today. The Hoodoo Gurus and The Visitors will perform for a show to honour the late Ron Asheton in Sydney in December. Paul Dainty will tour Eminem back in Australia in February. Dolly Parton will return to Australia in 2014 and we wonder if her tour bus is coming with her again. America’s Beth Orton, New Zealand’s Tim Finn and Australia’s Matt Corby lead the first artist announcement for Woodford Folk Festival over the New Years holidays. Eli “Paperboy” Reed will curate and perform at Brooklyn’s Union Pool for ‘Nights Like This’ in November. Alex Lloyd will tour Australia for the first time since 2008. Lynryd Skynyrd will perform live in Australia for the very first time next February. Jamaican reggae great Ernest Ranglin has responded to the announcement that he had withdrawn from Bluesfest 2014 after the suggestion that he got a better offer.